It is the heart that contains the original instructions of Life, and when the heart is again in control of a person’s life, Life responds with joy and power. When the human light body (Merkaba) is directly activated from the Sacred Space of the Heart, your life becomes interconnected with all Life everywhere and moves into higher consciousness naturally. This life changing workshop is presented as it was given to Drunvalo Melchizedek by the Ascended Masters. Given in a small class setting, all of Drunvalo's teachings on the Merkaba, Living in the Heart, and Co-creation from the Heart will be given in four days. ​​Using the group energy of unconditional love, these teachings become easily absorbed and on the last day the Merkaba will be generated automatically and permanently. 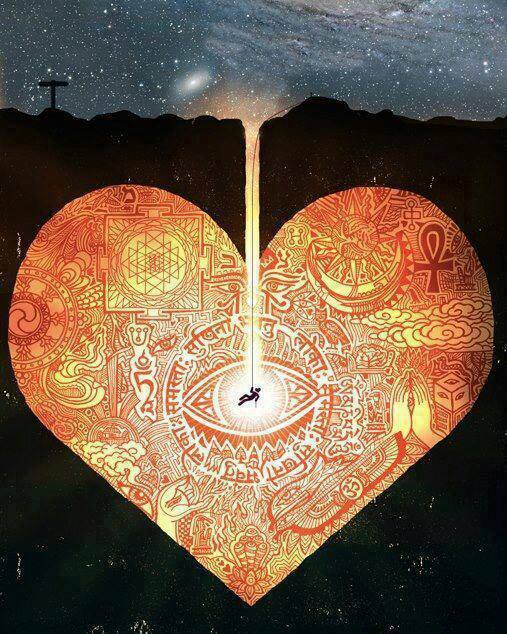 We will start to remember who we truly are and we will be able to create consciously from the single eye of the Heart. Please join us April 25-28 2019 for this wonder full and life changing workshop from Drunvalo Melchizedek. To be held near Santa Cruz CA 10am till about 6 pm daily early bird pricing in effect until April 18. After completing the workshop, You will take home the key to accessing the huge positive energy field generated by the heart and you will understand the creation process. If you have a family, every member will benefit from your new perspective. You will know how to love and use your new Merkaba, the necessary vehicle for ascension, and you will start to remember who you really are. I am so looking forward to sharing this experience with you. ​​To have the optimal experience and engagement with Awakening the Illuminated Heart, please read Volumes 1 & 2 of the Secret of the Flower of Life and Living in the Heart by Drunvalo Melchizedek. This is a full four day workshop starting at 10:00 am each day and ending about 5:30pm. You will start the Remembering Process, and you will feel your heart start to open and experience deep bonding with fellow participants. You will have the opportunity to expand limiting beliefs and experience deep emotional clearing through the sound healing ceremony under the Auspices of the Archangel Michael. You will finish the healing process, enabling clear access to the Sacred Space of the Heart and the Tiny Space. You will activate your beams of light, which act as antennae for pranic energy, and feel what its like to live in Love. You will have the opportunity to open your third eye, enhancing psychic abilities and paving the way to a strong brain heart connection. You will learn the creation process from the single eye of the heart, enabling creation of what you want without the backlash of what you do not want. You will activate your Merkaba, your human light body automatically and permanently, and you will learn how to program it. You will learn the Creation Process behind every manifest thing in our universe. ​​Workshop cost is $444. Early registration cost, is $400. Bring a friend and both will receive $50 off. Save your space with a deposit of $111. Remainder due the first morning of the workshop.